Car brands are always trying to show that their cars have different sides to their personalities i.e. sporty vs. reliable, safe vs. cool, etc. What makes Honda’s latest effort unique is its YouTube video. By simply holding down the “R” key on the keyboard, the viewer can instantly switch between two different videos. To execute this innovation, Wieden & Kennedy London had to create two storylines i.e. one of an easygoing Dad doing the school run and the second as an undercover cop posing as a getaway driver. Both of which were then expertly mirrored with contrasting style and tone. 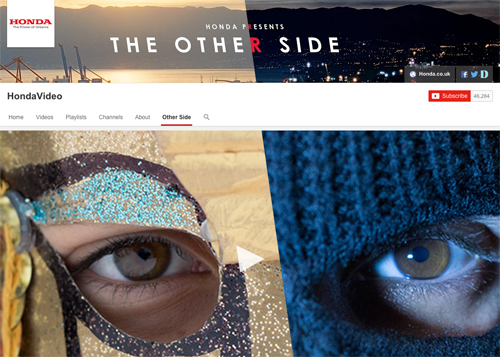 The interactive experience was then put together by Stinkdigital at Honda’s YouTube Channel.